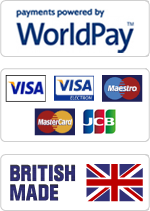 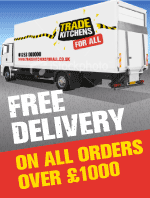 Ideal for use on Granite, Quartz, Marble & Natural Stone Surfaces. 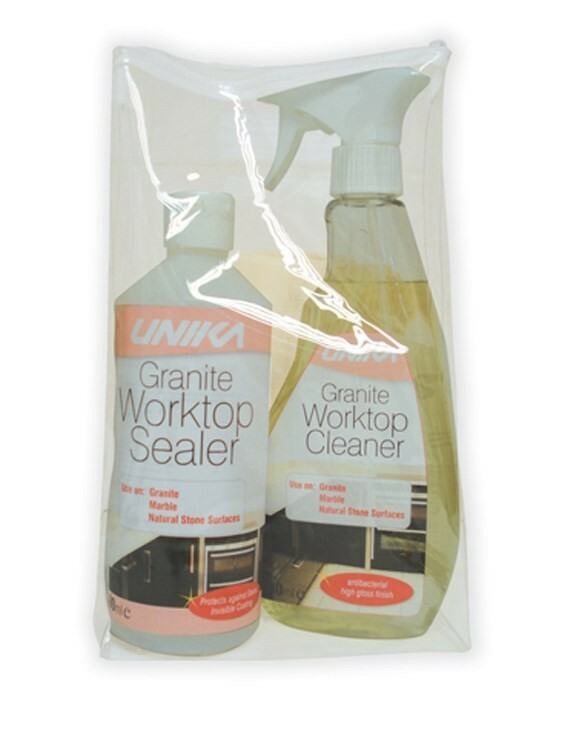 - Granite Worktop Cleaner - Specialist spray cleaner which tackles everyday grease and grime leaving an antibacterial high gloss finish. 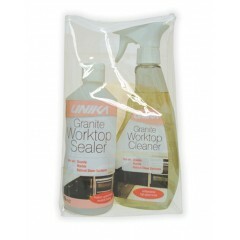 - Granite Worktop Sealer - Ready to use specialist sealer which protects against stains by leaving an invisible coating.